Paula's Place is modern clean large house nestled in a quite cul-de-sac and only a short walking distance to a selection of fine restaurants, cafes, pubs and shops. Perfect getaway for couples travelling together or for families, offering three good size rooms with queen beds, built in wardrobes and portable cot if required. Quality linean and towels supplied. Two bathrooms with separate toilet large open plan living area with lots of natural light opening onto a great large undercover deck with outdoor tables and chairs with a weber BBQ overlooking vacant land. Modern fully equipped kitchen with stainless steel appliances, stone bench tops with twin sinks, ice maker fridge/freezer and well stocked pantry with all essential items provided. Good size laundry, large double block with double lock up garage and plenty of spare parking. Private, clean and comfortable our aim is to ensure your stay in Robe is an enjoyable fun holiday. Our property has a huge undercover entertaining area overlooking native bush. As the owner operator I am one of a few that do all my own cleaning and laundry at the property assuring our guests arrive to a well presented and maintained house which they can just walk into and start enjoying their holiday in Robe. 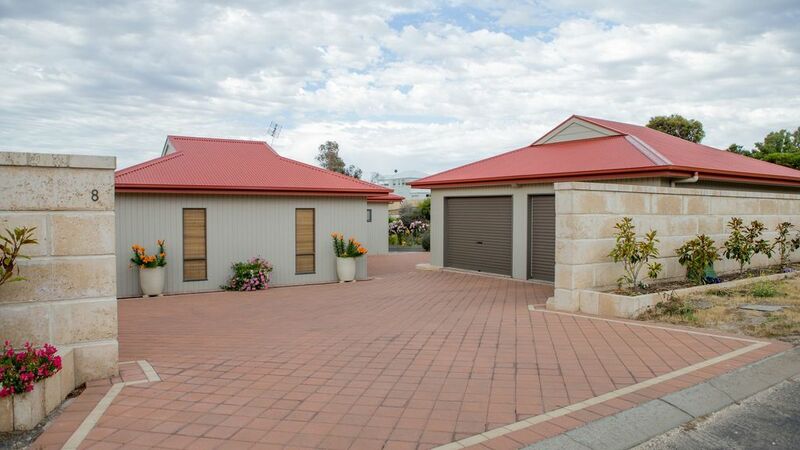 Situated in a quite cul-de-sac with empty blocks each side allows for privacy and only a short walking distance to the main street and cafes of Robe. Fully equipped open plan kitchen with stone bench tops double sinks large stainless steel oven opening onto large undercover deck. Spacious home, great living area and kitchen, 3 bedrooms and very clean and comfortable. All modern conveniences. Quiet and close to the shops and restaurants. Clean and spacious. Great location. Nice and clean. Deck and outside area was lovely. Perfect spot to share with old friends. We hired Paula’s Place for a low key catch up with a small group of friends who travelled from Melbourne, Adelaide and country SA. Spacious, comfortable and well appointed, Paula’s Place made the perfect venue to relax with friends. We enjoyed the evening on the large deck which overlooks scrub and sand dunes. We felt we were immersed in nature despite being a very short distance from the centre of Robe. It is family friendly and staying there with our nine month old was easy. My husband and I spent 6 nights at Paulas last week with our baby and couldn't have found a better place to stay. House perfect, and spotlessly clean. Host great to deal with and very prompt in responding to queries. I would highly recommend this house and I am very selective when it comes to accommodation. We definitely will return. We loved our stay in Robe! This property is beautiful, located very close to the main street within walking distance of shops and restaurants. Very clean spacious property suitable for couples or families. Robe is known for its beautiful - Long Beach - 12 k long a safe place to bring the family with a gentle surf and still one of the few beaches you can drive on and park your car whilst spending the day on the sand.